Jiddu Krishnamurti shares his thoughts and knowledge on Silence. 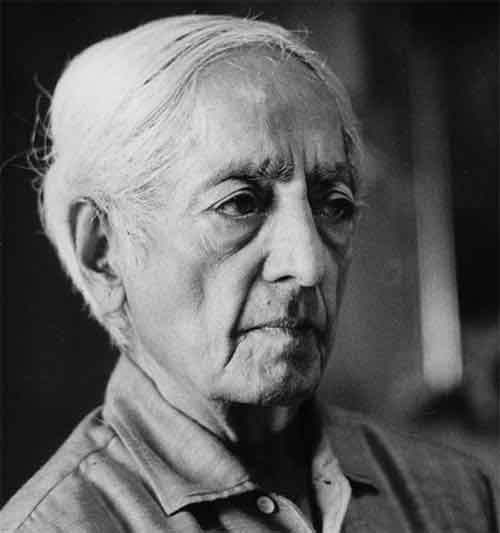 Jiddu Krishnamurti (11 May 1895 - 17 February 1986) was a philosopher, speaker and writer. The only silence we know is the silence when noise stops, the silence when thought stops – but that is not silence. Silence is something entirely different, like beauty, like love. And this silence is not the product of a quiet mind, it is not the product of the brain cells which have understood the whole structure and say, ‘For God’s sake be quiet’; then the brain cells themselves produce the silence and that is not silence. Nor is silence the outcome of attention in which the observer is the observed, then there is no friction, but that is not silence. You are waiting for me to describe what this silence is so that you can compare it, interpret it, carry it away and bury it. It cannot be described. What can be described is the known, and the freedom from the known can come into being only when there is a dying everyday to the known, to the hurts, the flatteries, to all the images you have made, to all your experiences – dying every day so the brain cells themselves become fresh, young, innocent. But that innocency, that freshness, that quality of tenderness and gentleness, does not produce love; it is not the quality of beauty or silence. That silence which is not the silence of the ending of noise is only a small beginning. It is like going through a small hole to an enormous, wide, expansive ocean, to an immeasurable, timeless state. But this you cannot understand verbally unless you have understood the whole structure of consciousness and the meaning of pleasure, sorrow and despair, and the brain cells themselves have become quiet. Then perhaps you may come upon that mystery which nobody can reveal to you and nothing can destroy. A living mind is a still mind, a living mind is a mind that has no center and therefore no space and time. Such a mind is limitless and that is the only truth, that is the only reality.